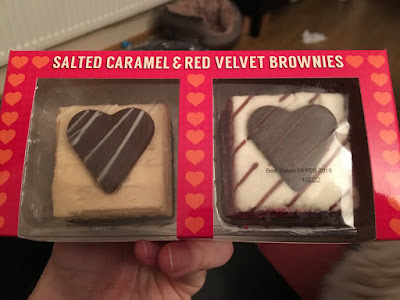 I got three plain brown parcels in the post in the space of two days so I decided to try our first unboxing video! Without spoiling too many surprises here it is! unless of course you take them out of the box first! Super indulgent breakfast in bed? Maybe. The taste isn't up to that much really, it's all sugar and showmanship, but it's nice and I'd not turn these down. Also - I couldn't bring myself to give the other box away as planned so they must have done something right. 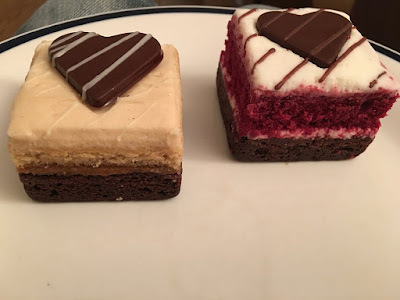 Having the choc layer at the bottom be a little firmer gives them a nice bite, and the caramel flavour is more distinct than the red is so maybe I'd give this the edge - but if you are a couple you clearly should be having half of each. Next up we have the I <heart> U cupcakes (£1.50) - skewed a little younger I feel. These weren't that special, but were just decent little cup-cakes with a not too sweet frosting on top. I forgot to take a solo pic so here is the whole haul. There are of course better shots in the video ;) If you want a little gesture or something for the children to give out then these are the ones for you. 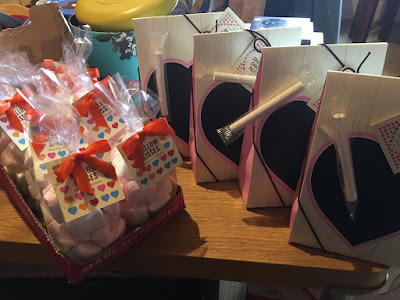 The other two boxes contained novelty heart mallows (£1 - great as a display or part of a larger gift, but essentially just flavoured sugar) and romantic chalk boards. 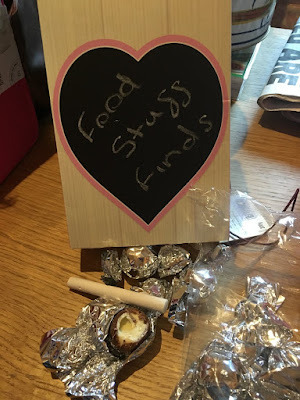 The mallows are a fairly standard idea, a heart shaped version of something that's already familiar - and they do taste OK - I'm happy to finish the bag, but the rest can go to work. The chalk board is a little bit special however - as you can write your own message on it before you go to work and leave it out for a loved one. Or use it to promote your blog! I'd expected the fun to stop there and for the things inside to be fairly boring. 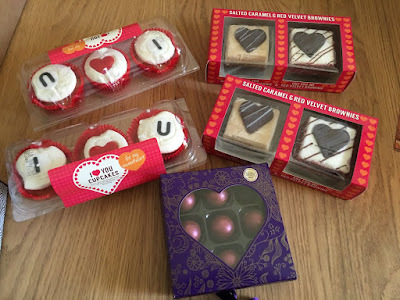 The wrappers are cheap and flashy, the chocolates are adorable and well worth a try. 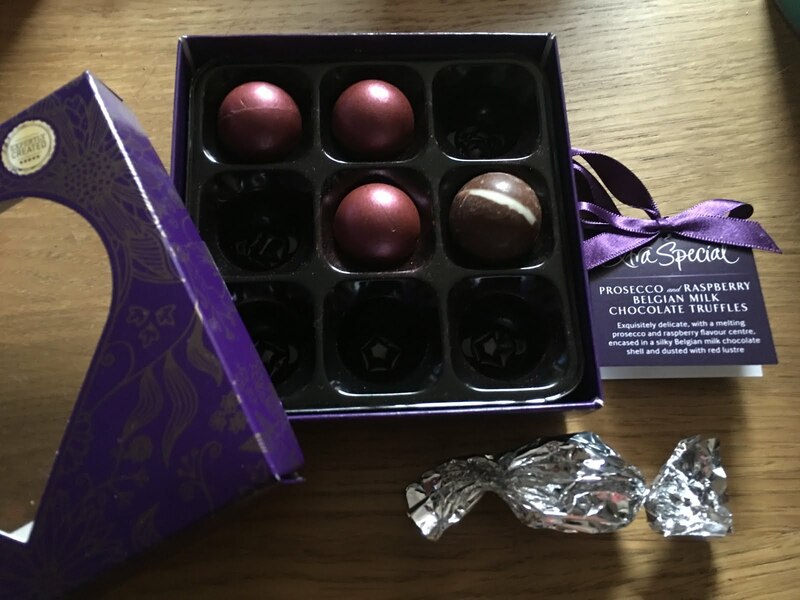 Finally - conspicuous only by the fact that it's shown up in the other pictures and is the main thing we talk about in the video is the Extra Special Truffles. These really are the business. Note the unwrapped chalk board ball hiding in the box for scale. They look like a fairly expensive gift, but at £3 you can forgive only getting 9 in the pack. These, as I mentioned, have a lovely chocolatey hit, with the raspberry floating over the top. 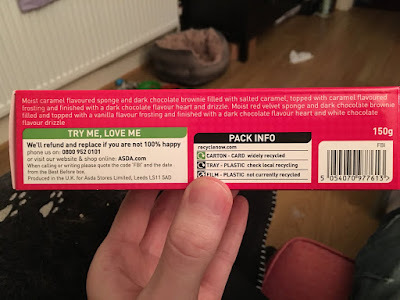 What I hadn't appreciated was just how alcoholic that third bite and aftertaste would be. This put some of the lucky people getting to try the remaining ones off, but even though I'm not a fan of prosecco it was a nice touch. It felt like a grown up chocolate and a gift that can be enjoyed even if you are watching the calorie intake. Sometimes a small luxurious portion is better! A lot harder for me to share than the other items - these would be my top pick - but not by much. I wouldn't usually include the prices but these are only available in the one store (Asda) and - if you just take the brownies, the truffles and the chalk board home with you it's £7.50 - and you could probably get a card on top for under £10. 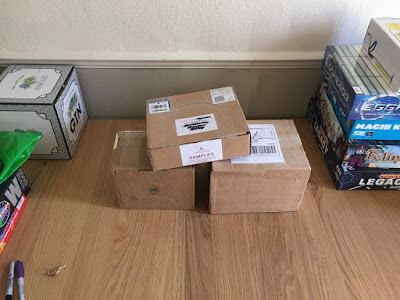 There wasn't anything disappointing about these parcels - and hopefully we'll be getting more interesting things to open in future weeks.